We Love This Mesquite Event. Find Details on This Halloween & HauntFest. We Have All the Info You Need Including Event Tickets, Event Maps, and Schedules. Get Links to the Official Site Below. Halloween & HauntFest @ Mesquite Convention Center, Mesquite TX, August 18-19 2018 For Fantastic Horror Costume Ideas, Contact Dallas Vintage Shop. We are Your GUIDE to Movie Characters Like Pennywise and Freddy Krueger. Come in and Let OUR Helpful Staff Find the Makeup, Accessories, and Paint to Make All of Your Ghoulish Zombie Needs Come True! 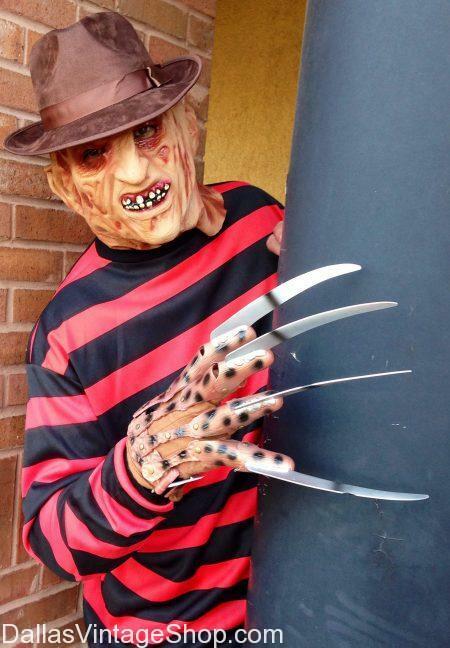 “If you love Halloween, this convention is for you! Will help you throw the scariest Halloween party, make the coolest costume, and have the best decorated home in the neighborhood. Pro haunters, dedicated home haunters and just plain old Halloween lovers will all find things to love at the show. General admission gets you access to dozens of Halloween related vendors and exhibitors. Enjoy the free demos, performances, seminars, and characters in costume. This entry is filed under 2019 TBA (Q3) Halloween & HauntFest Show, Mesquite. You can follow any responses to this entry through the RSS 2.0 feed. Both comments and pings are currently closed.